Just as July is a busy month for me in terms of birthday cards, August is my month for anniversaries with my brother & Sister in laws anniversary four days before mum & dads! First up the card I made for my brother and sister in law. 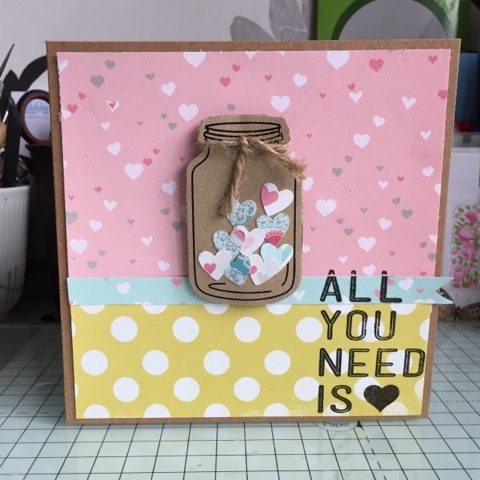 I have to thank Pinterest for this card as while looking through my card board I found a card using a mason jar stamp and remembered I had some jar embellishments I had brought at Hobbycraft. I used papers from Fancy Pants Beloved and a stamp also from Hobbycraft. Next up mum & dads card. For this I actually used a stamp from a Stampin Up set I recently brought and some distress inks I'd had for a while but *cough* never opened. 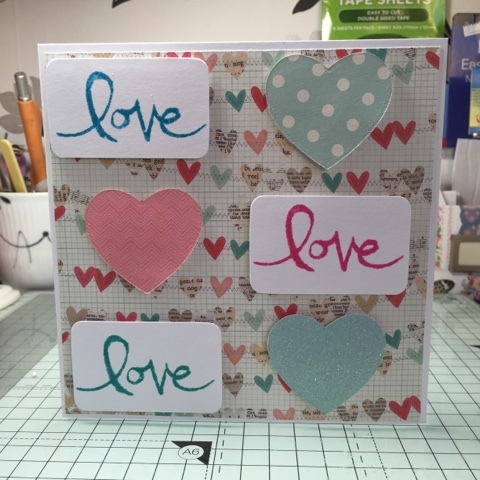 This time I used a sheet of 6x6 paper from Crate Paper along with hearts cut from papers in my scraps pile. 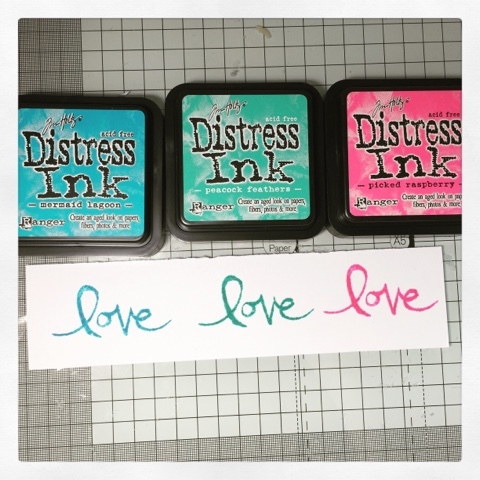 The inks I used were Mermaid Lagoon, Peacock Feathers & Picked Raspberry. These are both so pretty x you've reminded me I need to make my Mum And Dads for September. But it's their Diamond so need to get thinking!